Polycom, Inc. (Nasdaq: PLCM) and Microsoft today announced the delivery of a new portfolio of visual collaboration and video conferencing solutions, purpose-built for Microsoft’s Skype for Business – named as the Polycom RoundTable devices. The first RoundTable device in the new portfolio is the Polycom RoundTable 100, an affordable, simple, user friendly video solution designed for huddle rooms and small collaboration spaces, that will allow small and midsized businesses (SMB) and teams using Microsoft Lync 2013 and Skype for Business to enjoy the highest quality, feature rich collaboration experiences, including voice, video and data collaboration, simply by logging into their Skype for Business account. 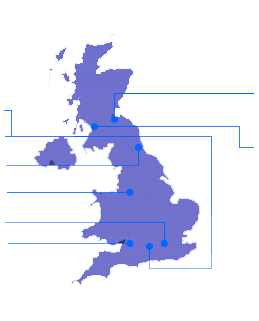 The RoundTable 100 takes minutes to set up and start using, and does not require any corporate domains or on-premises infrastructure, making it simple to use and much more cost effective. 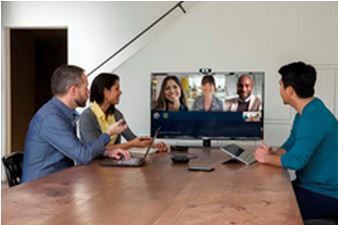 Microsoft and Polycom have also announced that the Polycom CX series of video conferencing solutions, which includes the Polycom® CX8000 room system, the Polycom® CX5100 and the Polycom® CX5500 unified conferencing stations, will also become part of the Polycom RoundTable portfolio of video collaboration products. Together, this portfolio is part of Polycom’s and Microsoft’s efforts to video enable the 50 million meeting rooms around the world, of all shapes and sizes, and bring them into the age of face-to-face communication, enhancing collaboration for businesses of all industries and all sizes. Polycom has also announced that the Polycom® VVX® business media phones will be the first series of phones to support the new cloud voice service offering within Microsoft Office 365. Polycom and Microsoft have worked together for over 10 years to make collaboration more simple and more intuitive. Since Microsoft’s entry into the world of Unified Communications (UC), Polycom has developed the widest and most broad portfolio of voice, video and data collaboration solutions that are qualified by and integrate seamlessly with Microsoft. The Polycom RoundTable solutions will add to Polycom’s wider portfolio of more than 40 other video conferencing solutions that integrate with Microsoft Lync and the new Skype for Business. The Polycom RoundTable 100 for Skype for Business is planned for availability in the next few months. For more information, please see Polycom’s main press release here.